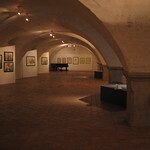 An art gallery with the exhibition area of 3,000 square metre in a Renaissance-style building that used to be the former Municipal Brewery. 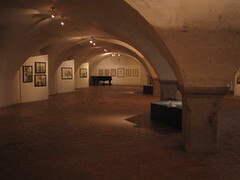 Exhibitions include the permanent presentation on the life and work of Egon Schiele (whose mother was originally from Cesky Krumlov, and Egon Schiele himself lived in Cesky Krumlov in 1911) and his art works, as well as regularly changing exhibitions of classical and 20th century contemporary art . The centre contributes to international understanding and cultural exchange through readings, concerts and performances, together with providing studios for international and local artists. Coca Cola vending machine with the drawing of Cesky Krumlov Castle! !